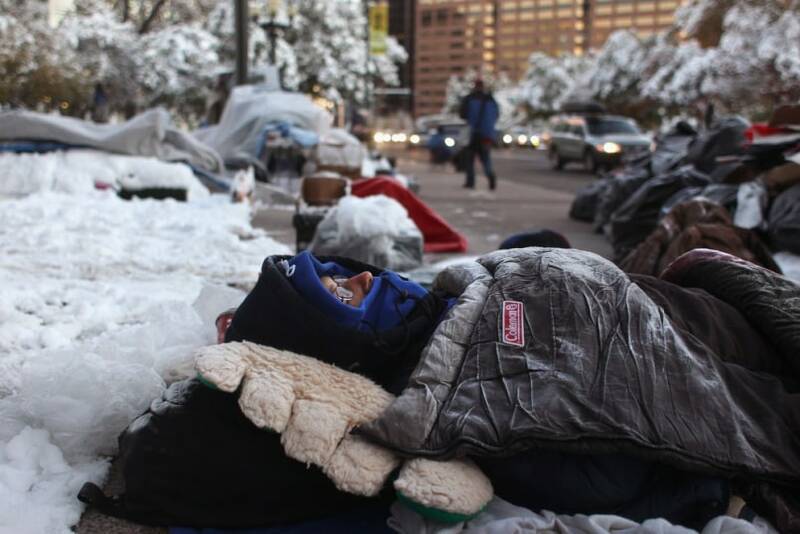 An Occupy Denver protester sleeps on the sidewalk at Civic Park on Thursday. Night temperatures have been in the 20s in recent days there. Several proteters have been treated for hypothermia.